More than any other of Lovecraft’s creations, the tentacle god Cthulhu remains his most known creature by a significant margin. 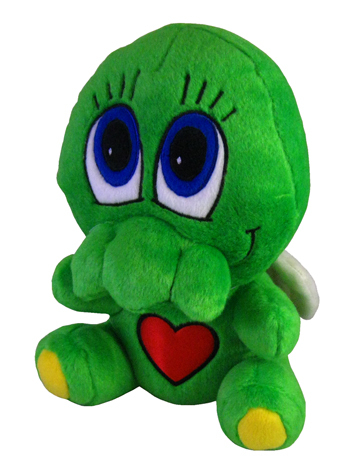 Gaining significant popularity after the release of the 1981 tabletop RPG The Call of Cthulhu, the green giant from the depths of the sunken city R’lyeh has appeared in South Park, been made into a vast assortment of plush toys, and perhaps most famously of all Lovecraftian metal tracks, was the titular subject of the instrumental ending track on Metallica’s Ride The Lightning, “The Call of Ktulu”.1 A gigantic scaly monster with a flabby body, rubbery wings, and a head like an octopus, Cthulhu first appeared in the 1926 short story The Call of Cthulhu. The story is told through a series of diary entries, chronicling the investigative notes of the Rhode Island professor George G. Angell as he follows a trail of clues beginning with a bas-relief depicting the titular god. The narrator is Angell’s nephew Thurston, who discovers the harrowing notes, and the story reaches its terrifying conclusion after Thurston himself takes over the search for whatever the bas-relief depicts. Throughout the story, there are descriptions of backwoods cult-worship, sacrifice, and other gruesome activities. It is of little wonder, then, that many young metal musicians found inspiration in the tale. 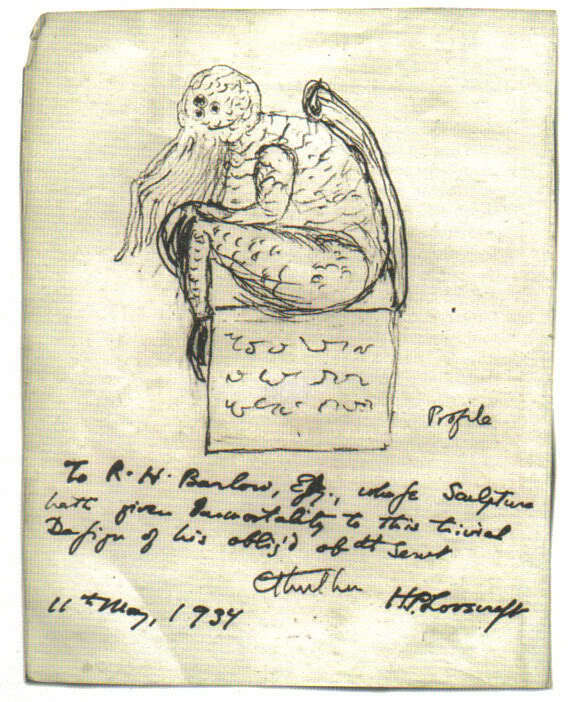 Lovecraft’s own drawing of Cthulhu. In addition to the instrumental “The Call of Ktulu”, Metallica also took heavy inspiration from this story for their song “The Thing That Should Not Be”. Co-opting Lovecraft’s phrase “That is not dead which can eternal lie, and with strange aeons even death may die.” (taken from Lovecraft’s fictional Necronomicon), the song deals with an ancient monster slumbering beneath the waves. 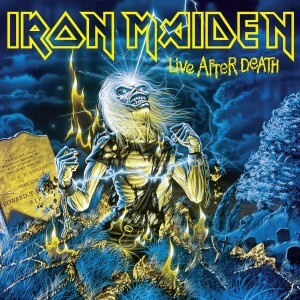 This phrase was also used by Iron Maiden, albeit only as part of the cover art adorning Live After Death. Despite bassist and lyricist Steve Harris’ habit of writing songs about literature, the band never touched directly on Lovecraft’s writings. 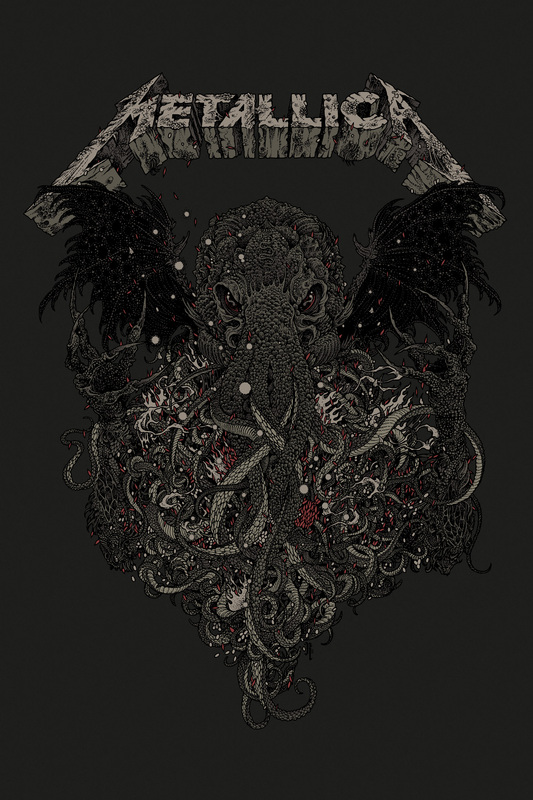 There is, however, no shortage of metal bands writing about Cthulhu and the other elder gods making up what has become known as the “Cthulhu mythos”. The Call of Ktulu, by Richey Beckett. 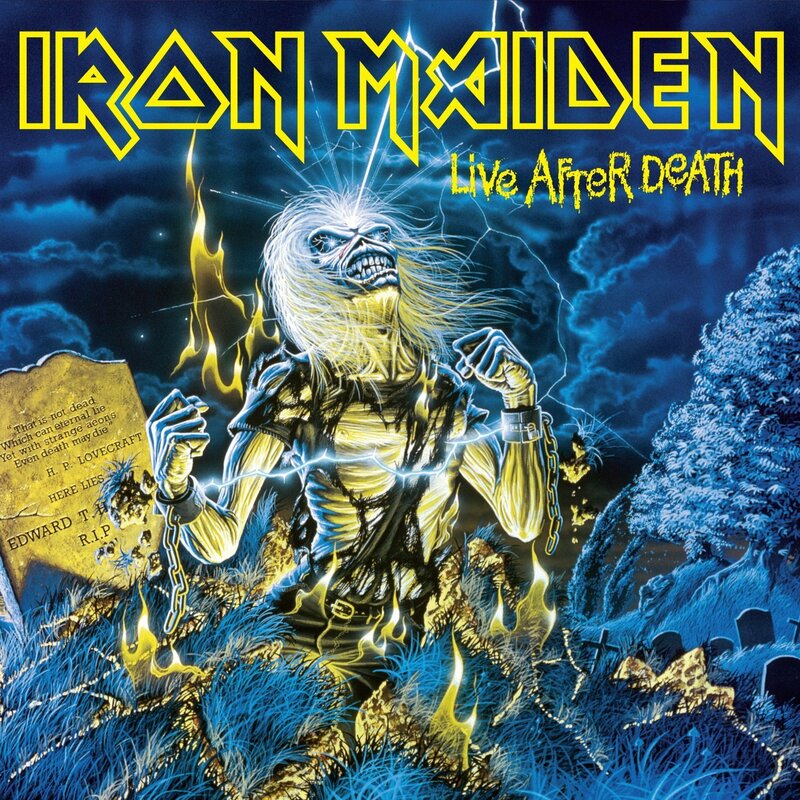 Iron Maiden’s Live After Death. Note the writing on the tombstone. 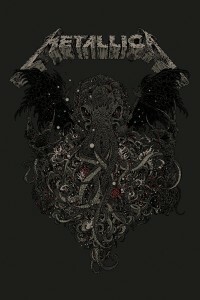 On the darker side of the genre, groups such as Samael and Therion both wrote explicitly about Cthulhu in their younger, extreme metal-oriented days. Samael’s debut full-length Worship Him features the instrumental track “Rite of Cthulhu”, while the then-death metal band Therion have a song titled simply “Cthulhu” on their 1992 album Beyond Sanctorum, although the lyrics are in such bizarrely broken English that it is unclear whether they ever actually read the story. Another twist on Lovecraft’s words was done by the Stockholm death metal group Entombed, who put it thusly in their 1992 track “Stranger Aeons”: “Stranger things that eternal lie, awaiting beyond the time to die”. Kicking up the symphonic factor a few notches, melodic black metal act Cradle Of Filth’s 2000 album Middian opens with the apocalyptic “Cthulhu Dawn”, but neglected to include the song on their 2002 compilation Lovecraft & Witch Hearts. Along similar bombastic lines, the epic metal band Bal-Sagoth, although more obsessed with Conan creator (and friend of Lovecraft) Robert E. Howard, have also dabbled in the Mythos, perhaps most blatantly on The Cthonic Chronicles, with the track “Shackled to the Trilithon of Kutulu”. Samael flyer. Taken from Black Death Nostalgia. 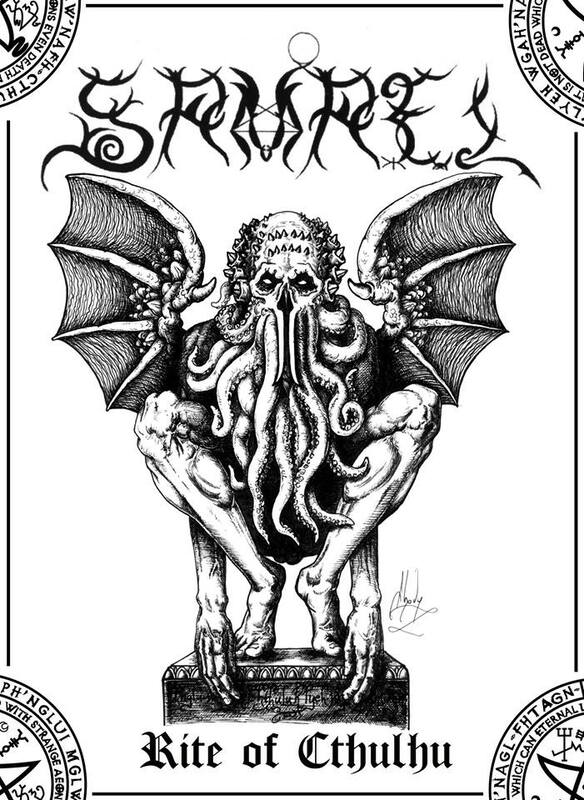 The wide fascination for the Cthulhu Mythos has only been growing with the popularization of the internet, and metal tracks dealing with the mythos are still abundant. On their 2014 album The Plagues Of Babylon, the heavy metal stalwarts Iced Earth joined the ranks of bands titling a song “Cthulhu”, although their version focused on the story’s climax – Cthulhu rising from the ocean to devour a seemingly helpless group of sailors. A different take on the same concept came in the form of occult rockers Year of the Goat’s 2015 release The Unspeakable. 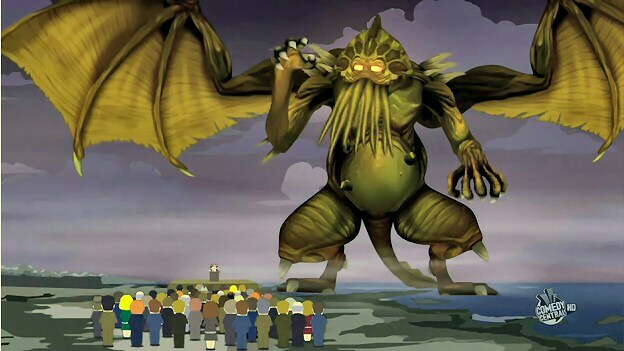 Lovecraft is a recurring theme through the entirety of The Unspeakable, and the song “The Emma” is named and themed after the doomed vessel that first encounters Cthulhu. 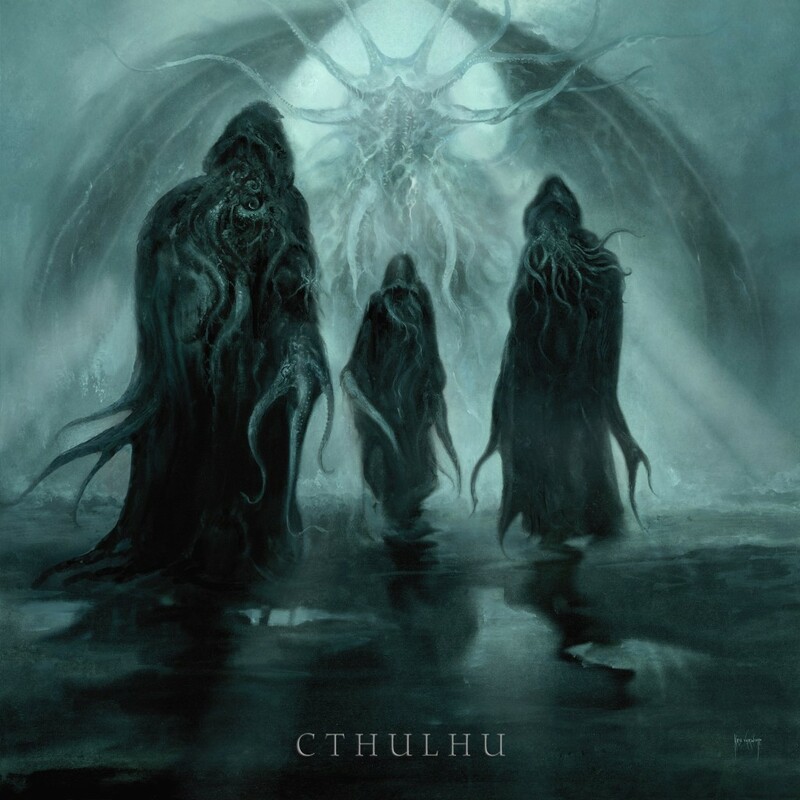 Another concept album fully dedicated to Lovecraft, the US black metal band Ceremonial Castings released Cthulhu in 2014, after which the band promptly went on hold, possibly due to lingering madness. On the doom metal side, the funeral doom metal project Catacombs has only released one album (and an EP) to date, the 2006 eerie opus In the Depths of R’lyeh. Crawling along the ocean floor, it comes as no surprise that this is another effort focused on everyone’s favorite cephalic suboceanic god. The cover art of Ceremonial Castings’ Cthulhu. Read on to learn about the mysterious activities going on in Arkham county, and why you should care. 1 http://www.hplovecraft.com/writings/texts/fiction/cc.aspx 2 There are various theories on why Metallica changed “Cthulhu” into «Ktulu», but the most likely answer is that it is just a phonetic spelling. Lovecraft himself also suggested “Ktulu” as an alternative. This entry was posted in Specials and tagged A Chaotic Babel of Sound, Arkham Witch, bal-sagoth, black sabbath, Brown Jenkins, Candlemass, Catacombs, Celtic Frost, Cradle Of Filth, Cthulhu, Deicide, Draconian, electric wizard, Enforcer, Entombed, Evil Dead, featured, Fields Of The Nephilim, H.P. Lovecraft, High on Fire, HP Lovecraft, iced earth, iron maiden, Lovecraft, Lovecraft in metal, Lovecraftian metal, marduk, massacre, Mekong Delta, Mercyful Fate, Metallica, Morbid Angel, Necronomicon, Nile, portal, Rage, Reanimator, Reverend Bizarre, Rigor Mortis, Samael, Sentenced, Septicflesh, Shub Niggurath, sleep, The Great Old Ones, The Lamp of Thoth, Thergothon, therion, Unaussprechlichen Kulten, Vader, Year Of The Goat. Surprised you mentioned Mekong Delta, but not Rage, who have several Lovecraftian songs. The Crawling Chaos, Shadow Out of Time, and In a Nameless Time from Black in Mind are all directly based on Lovecraft stuff, and the entirety of their Soundchaser album is essentially putting their band's mascot up against Lovecraftian "old ones". And Manilla Road's Atlantis Rising is an entire album about Triton and then Poisedon battling a sorceress who summons Cthulhu, ultimately calling in the Norse gods to help them(Greek myth, Norse myth, and Lovecraft, I don't think you can get more epic than that). Rage are given a mention on page 2. Manilla Road on page 5. Thanks for the in-depth information though! Ailo Ravna Yeah i saw the Manilla Road mention, I was just surprised that only 1 song was specifically mentioned and not the album that's devoted to a battle between Cthulu and Greek and Norse deities, heh(that's not a concept you see every day, lol). Missed the Rage mention though. Cancerslug Book of Rats and Dagon!